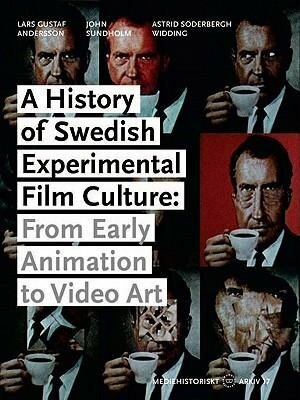 A History of Swedish Experimental Film Culture: From Early Animation to Video Art is the first scholarly book to be published on the history of Swedish experimental film. It represents the result of a research project funded by the Swedish Research Council in 2006–2008. The study depicts not only the history of Swedish experimental film – its institutions, filmmakers and films – but also considers this history in relation to larger socio-cultural contexts and international perspectives. 1. “The Writing of a History of Swedish Experimental Film” deals with the theoretical and historiographical aspects of writing a national history of experimental film culture. 2. “Swedish Experimental Film until the 1950s” covers the early years from early animation and cine-clubs to major figures such as Viking Eggeling and Rune Hagberg. 3. “The Emergence of Experimental Film” presents two vibrant contexts for Swedish experimental film culture, The Independent Film Group and the film art scene that was connected with Moderna Museet and its versatile director Pontus Hultén. 4. “The Art Movements of the 1960s” describes different avant-garde venues in Sweden and their transnational trajectories ranging from regional Fluxus-groups to E.A.T. in New York. 5. “The Extension of Independent Film Production” covers the birth of new institutions for filmmaking and depicts their role in the filmmaking of artists such as Öyvind Fahlström, Leo Reis, Bo Jonsson, Åke Karlung, Olle Hedman and Gunvor Nelson. 6. “The Expanded Field of the Experimental Moving Image” describes the introduction of video in Sweden and how an expanded experimental moving image culture has affected Swedish experimental film culture. Lars Gustaf Andersson is Associate Professor in Film Studies at Lund University. John Sundholm is Associate Professor in Film Studies at Karlstad University. Astrid Söderbergh Widding is Professor of Cinema Studies at Stockholm University.